I can remember quite clearly a moment in my life when I realized nothing made sense to me, that everything I had done and was doing seemed out of tune, even meaningless. I was sitting alone at a campfire in the shelter of a small group of pine trees in the highlands of Kenya, enjoying the first opportunity to be by myself in over a year. My father had died eighteen months before, and I knew I had not come to terms with his passing, especially considering how I had busied myself in all kinds of intense activities to avoid acknowledging my thoughts and feelings. In the light of his passing and reflection on the life he had lived, I had not stopped to reconsider what was important to me and what I really wanted to achieve in my own life. In such a state of feeling lost, I was very fortunate soon afterward to be guided to someone, in India, who could look deeply into my life and tell me about it from a purely objective point of view. Do you know those times when you hear something that resonates deeply within you and yet you cannot altogether explain how or why it does? And how, after receiving such insight, it is impossible to go back to an old way of doing things because your perspective has completely changed? In Episode 6 of the New World Now podcast, host Kim Corbin interviews Christine Hassler, author of Expectation Hangover: Free Yourself from Your Past, Change Your Present & Get What You Really Want, available now from New World Library. How do we “agree to disagree” with someone whose views are in sharp contrast to our own? Is there a silver lining in these changing political times? How can we be the change we wish to see? These are the kinds of questions that Hassler answers in this uplifting interview, which includes practical tools and wisdom from her national bestseller, Expectation Hangover. If anyone can be called a self-help, self-actualization pioneer, it is Shakti Gawain. 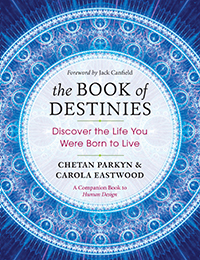 Years before “manifestation,” “the law of attraction,” and “the secret” entered the lexicon, Shakti was sharing daily affirmations, meditations, and mental imagery practices that millions found could help them achieve goals, change habits, relax deeply, and significantly improve their overall health and well-being. 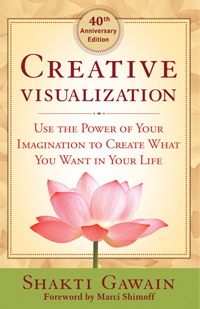 We hope you’ll enjoy this excerpt from the new 40th Anniversary Edition of her international bestseller Creative Visualization. Recently I was flying across the country on one of those rare cloudless days when you can watch the full bounty of the earth pass beneath you in all its geological and topographic beauty. I sat, mesmerized, as the ragged expanse of the Rockies gave way to the duns and tans of the rolling high plains. Cities and towns — small huddlings connected by a thin tracery of roadways — appeared for a moment and then, just as quickly, were gone. I had been lulled into an almost hypnotic reverie by the landscape passing below me when suddenly the brown list and roll of the plains was broken by a snaking ribbon of blue that looked like nothing so much as one of those serpentine dragons on the back of a Japanese kimono. The Missouri River. The Mne Sose, the giver of life. Episode 5 of the New World Now podcast is now live. In this episode, host Kim Corbin interviews Roger Housden, author of Dropping the Struggle: Seven Ways to Love the Life You Have, available now from New World Library. Is it possible to love the life you have — acknowledging and accepting the conditions of your life exactly as they are — and to drop the struggle to make it different? That question is at the heart of this interview with internationally bestselling author Roger Housden. He encourages us to offer a persistent, deep, and courageous YES to life as it is unfolding right now, no matter how dark or light it happens to be. 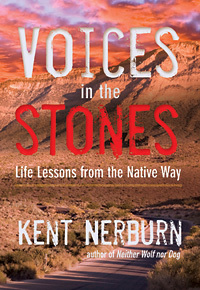 When New World Library first published Valerie Ann Worwood’s book twenty-five years ago, its subject matter was new. Over the years the book has become the trusted, tested, last word in its field, as aromatherapy has been accepted in medical and mental health care, as well as home and workplace environments. 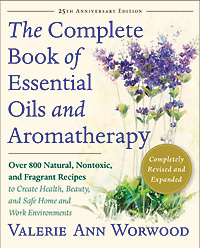 In the revised and expanded 25th Anniversary Edition of The Complete Book of Essential Oils and Aromatherapy: Over 800 Natural, Nontoxic, and Fragrant Recipes to Create Health, Beauty, and Safe Home and Work Environments, Valerie’s clear and positive voice provides the tools we need to create health, beauty, and safe environments — in a way that offers natural, nontoxic comfort and care. We hope you’ll enjoy this excerpt from the book, in which Valerie introduces the 10 essential oils (out of the 125 that she covers in detail in the book) that she recommends as a nice starting selection for most home practitioners.